New for the patio this year is 'Anticipation' Camelia. 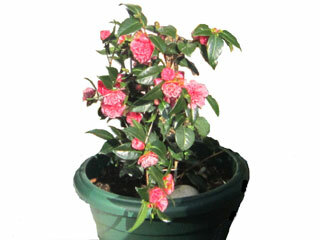 It is an upright growing evergreen shrub with flamboyant crimson flowers and green glossy foliage. 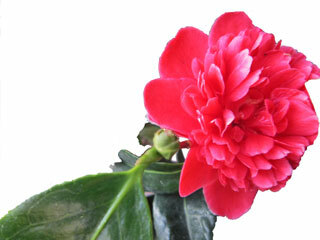 Camellias originate in eastern and southern Asia. They all have large conspicuos flowers and the colours vary from white through pink to red. I must include the common bluebell (Hyacinthoides non-scipta ) in this update.They are found in abundance in deciduous woodlands and hedgerows, where they flower in April and May. I grow them under the Cotinus which sheds its leaves in the Autumn.